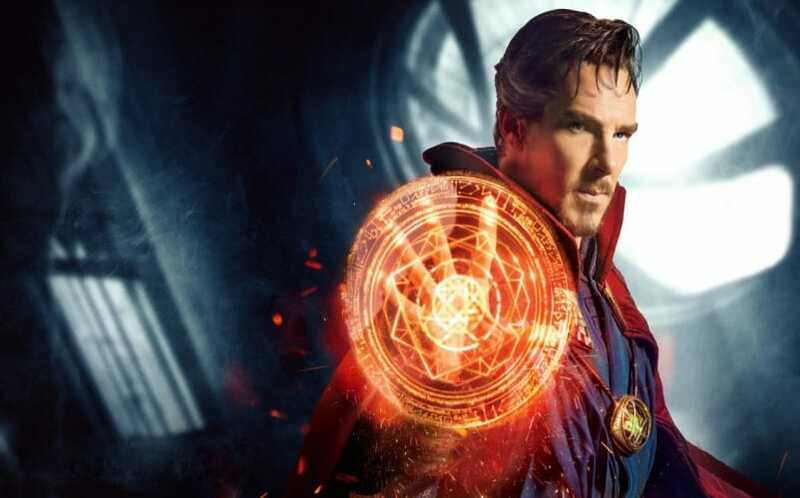 4 Exciting Possibilities Doctor Strange Brings to the MCU | Nerd Much? There’s no stopping the Marvel momentum now. 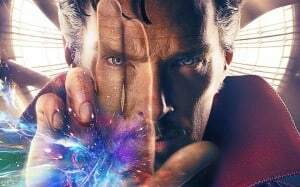 Doctor Strange opened this past weekend ahead of industry predictions with a hefty $85 million debut, which is nice to hear because the movie is pretty dope. The visuals are impressive even by Marvel standards, the performances are all good, and the story, while a bit familiar, is refreshing in how self-contained it is. Besides the obvious similarities in story, Doctor Strange reminded me of the first Iron Man movie in being a film you could enjoy all on its own while knowing bigger things were happening elsewhere. But as this is the 14th film in the Marvel Cinematic Universe, we are past the point of ignoring how these films all tie together or expecting them to stay separate. Not to worry though, because in forging ahead on its own path, Doctor Strange opens the door for some very exciting possibilities when the time comes to intermingle with the rest of the Marvel family. A movie like Doctor Strange doesn’t work without a rock-solid lead and Benedict Cumberbatch is just that. This is a character you want to see more of, and at a time when the heroes of the MCU are fractured, who better to step into a larger role and bring them all back together? We’ve had fun watching the disparate personalities of Tony Stark and Steve Rogers be introduced and grow over the years, but honestly, things are getting stale. One of them should have bitten the dust at the end of Civil War and now we’re at a point where it feels like we’re running out of ideas. Doctor Strange is the perfect example of new blood that can come in and shake things up. An objective and extremely powerful sorcerer who can also crack wise seems like a great choice to softly reset the MCU. Seeing the character in action here, it’s clear we’re in for terrific things to come. Doctor Strange doesn’t exactly fix Marvel’s notorious villain problem but it does make steps towards a better place. 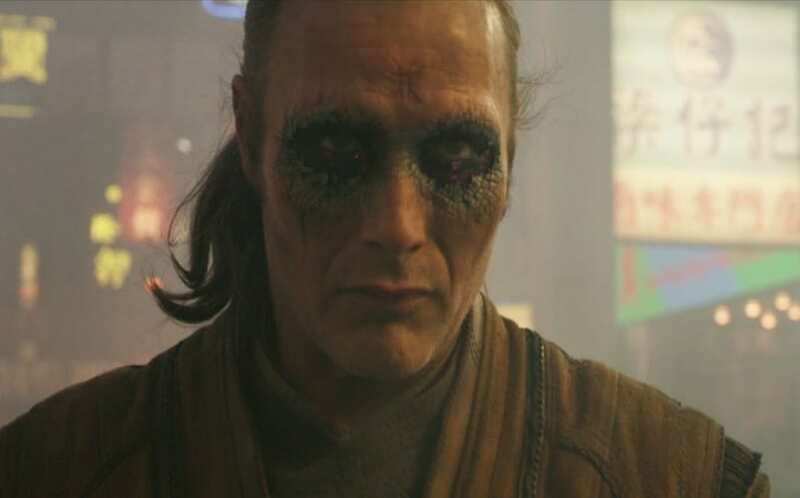 Mads Mikkelsen’s Kaecilius isn’t in the film a whole lot and doesn’t end up saying much but he’s at least got a slightly better motivation than many of his kin. Instead of just wanting to rule the world, he wants to make it so that humanity will be unaffected by the ravages of time (the conflict therein being that the world would be consumed by a dark dimension in order for it to happen). He explains this all in a pretty well-acted monologue that makes you remember why Mikkelsen is such a sought-after talent. Like so many before, Kaecilius is largely put on the sidelines in favor of the hero, but there are little details present like the ones mentioned that indicate Marvel might be working towards improving. Meanwhile, Mordo (not yet brandishing the title of Baron), begins his path into villainy by the end of the movie, taking the stance that sorcery is being used for incorrect means and is disrupting the natural order. Mordo may just be primed for a Loki-esque role in the MCU, developing over several films to act as either villain or compatriot. Then, of course, there’s the big bad guy we didn’t even realize they would introduce so early: Dormammu. 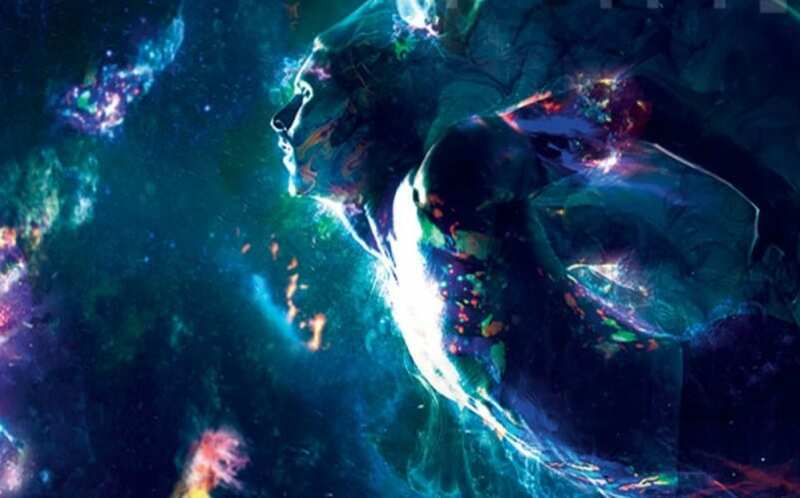 The secret power behind Kaecilius and his acolytes, Dormammu goes beyond the typical see-you-next-time easter egg and actually appears as a force in the film. Strange and Dormammu share one climactic confrontation but it’s made clear enough that this likely won’t be the last time we see the ruler of the dark dimension on screen. The door is left open for Dormammu to return down the line to menace Strange and the entire world. The MCU is in need of a new cosmic villain because, let’s be honest, Thanos has turned out to be a big old bust. We’ve known of his presence for four years now and the only thing he has done besides sending incompetent subordinates to do his work is sit in a chair and put on a glove. With Dormammu in the picture, there is at least the opportunity for a villain who is all-powerful and can actually get something done. Similar to the villains, Michael Giacchino’s music to Doctor Strange doesn’t completely cure Marvel’s implicit policy on having totally bland scores, but it sure is better than almost all the rest. It’s surprising it took this long for Giacchino and Marvel to come together, as it’s a pairing that seems perfect in hindsight. The Star Trek and Rogue One composer’s score for Doctor Strange probably won’t reverse Marvel’s fledgling reputation for how it handles its music but it is still a successful example of film music. Taking inspiration from the film’s psychedelic visuals, Giacchino’s score contains some playful instrumentations and, most appreciated, builds to a main theme you can hum by the end of the movie. Kevin Feige and Marvel must have caught on fairly quick that they caught lightning in a bottle, as news recently broke that Giacchino will return to score Spider-Man: Homecoming for next summer. When it comes to choosing the main musical voice for your film universe, you can do a lot worse that Giacchino (and arguably not any better). The Marvel Cinematic Universe has done an admirable job keeping its many threads both separate and intertwined. That said, the may be on the cusp of pulling a Days of Future Past scenario. In this film, we’re introduced to the concept of the multiverse, a collection of many different dimensions that the sorcerers of the Kamer-Taj borrow power from. We also get our first glimpse at the Eye of Agamotto, a powerful relic that Strange uses to manipulate time and undo damage. The dangers of the eye are made clear, as there is a possibility of unraveling time and reality, and having it fall into the wrong hands (it is, after all, a secret infinity stone). With these two pieces in place, Marvel has given themselves the ability to majorly switch things up. If the studio develops the balls to kill off any of their main players in Infinity War, Strange and the Eye are there to fix things. But too much use of the artifact could break the fabric of reality and open the possibility of many different universes coming into play. Are the contracts for the main Avengers stars up? Simple, recast them as different versions from another timeline. Can’t figure out how to bring Hugo Weaving back as the Red Skull? He was in another universe and was freed with the breaking of the multiverse. Want to introduce the Fantastic Four, Dr. Doom and Galactus late in the game? They can be, with little question now that all bets are off. Also, hello open pass to finally bring in our street heroes from the Netflix shows! Marvel already proved they can do anything they want by having a movie with a talking Raccoon, but the introduction of the multiverse means there are no limits anymore. And for a franchise that has felt like it’s been spinning its wheels for two years, this is terrific news.